If you would like us to build for your server, you can contact us on our Twitter at @KingBuilds, but keep in mind we speak SPANISH! 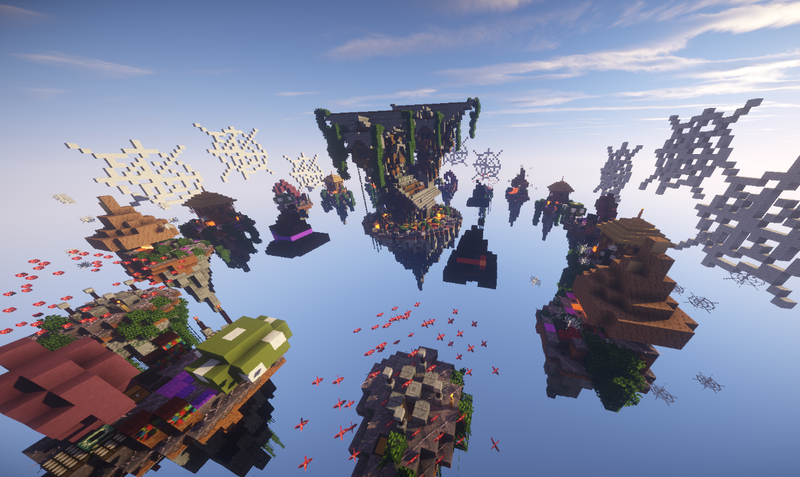 First, we have three Sky Wars maps. 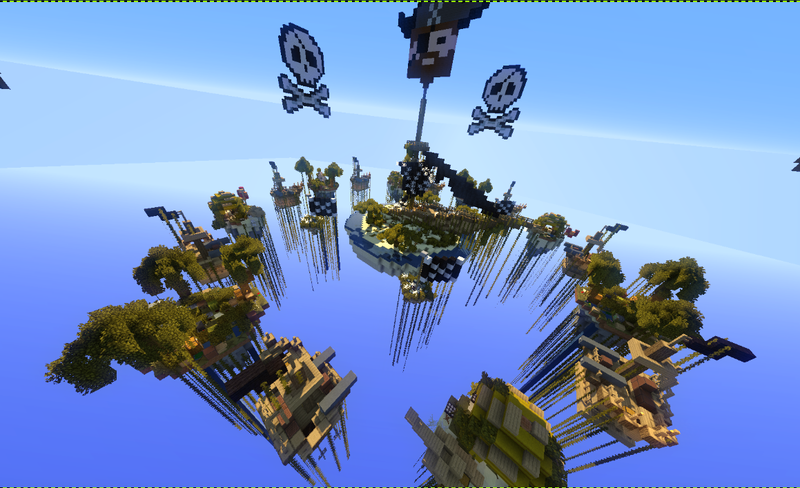 A witch-themed map, a pirate-themed one and another one based on a TV series. Next, we have a medieval Christmas Lobby. 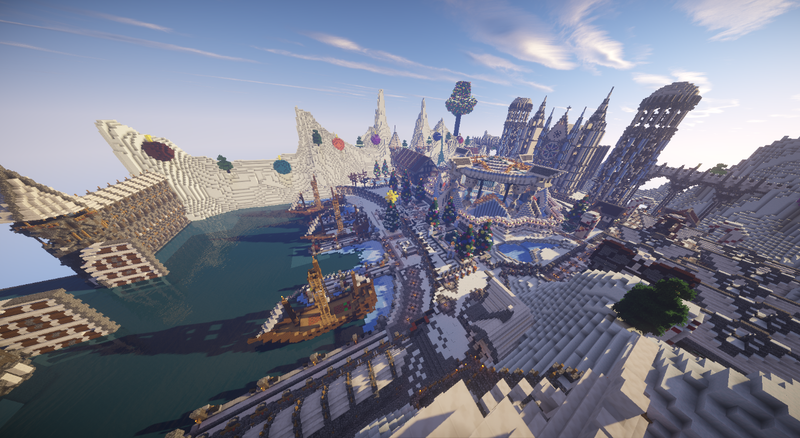 This is quite big, it includes a huge cathedral, a ship dock and a town. Finally, we have a spawn. 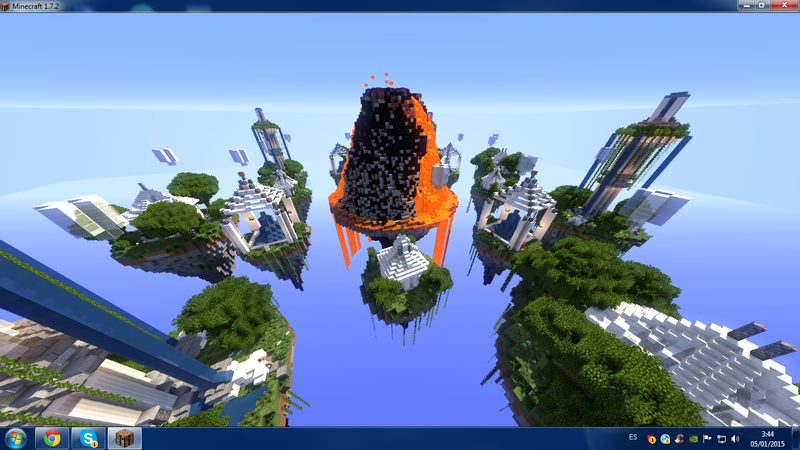 It is a SkyWars spawn, but it could be used for another minigame/gamemode. Now time for the videos! So, that's it guys! I'll be posting in the future pictures of other projects we finish! 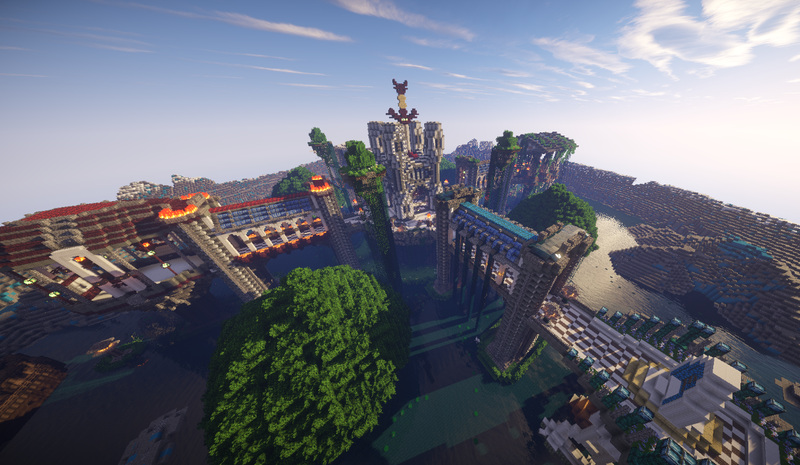 Sorry for the few pics, I'll try to get some more for the next time, but with other Shaders. Thank you for reading!